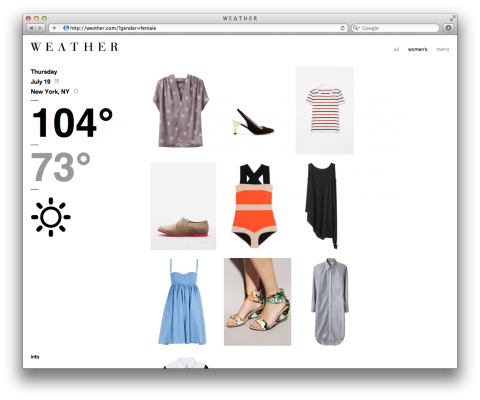 Wevther is not your usually weather forecast site: You not only get the temperature but also wardrobe suggestions. Made me smile. Should be called “wearther”, geddit? Nice! How bout Swiss mountain goats predicting the weather?